Perio-plastic Surgery: cosmetic soft-tissue recontouring, it can be a vital part of an aesthetic smile makeover. Its goal is to create a visual balance between the oral components of the face, namely, the lips, the gums and the teeth. It sometimes occurs that the soft tissue around the teeth may grow excessively hiding a portion of the crown of the tooth. 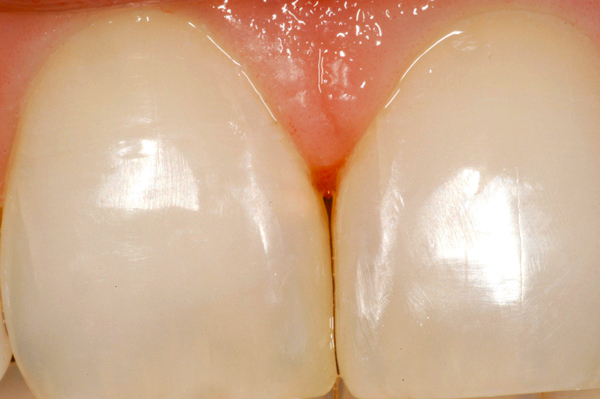 The procedure to correct this is called crown lengthening (making more of the crown visible). Sometimes the bone can have excessive volume (hyperplastic) around the necks of teeth and needs to be reduced. Crowns with different gingival heights can also be corrected with gingival recontouring and create a balanced appearance. Whenever any of these or other situations occur, selective recontouring can restore the visual balance between the teeth and the hard and soft tissues. 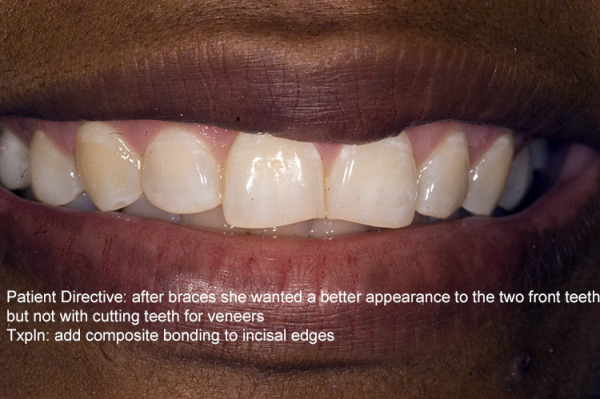 Visual balance is vital when designing a smile makeover. Tooth Recontouring: It is also possible that delicate and precise shaping of the contours of selective tooth surfaces can create an ideal aesthetic smile. In these circumstances reshaping tooth contours is one of the most cost effective means of achieving a more youthful and elegant smile. The reshaping process can be subtractive, gently contouring rough or irregular edges. This may eliminate the need for more involved procedures such as veneers or crowns. 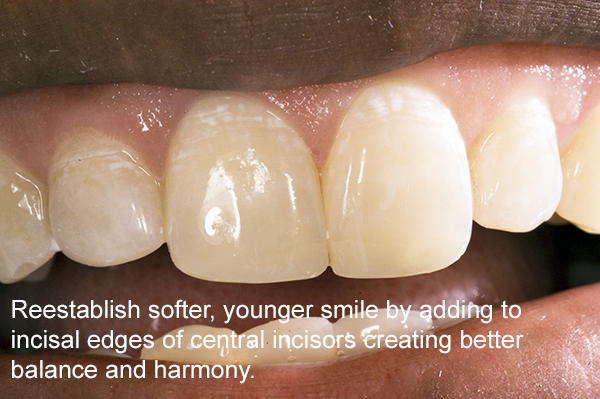 It can also be additive, using aesthetic bonded composites to fill in gaps or minimize a very worn tooth. Customized home care instructions are the most important ingredient in maintaining a beautiful, healthy smile. Dr. Prus takes great pride in having created a specialized process of home care instructions for his patients at CDE (see gums of steel smile gallery). He carefully advises each one on how to maintain their mouths in total health. The instructions given at CDE are not cookie-cutter protocols but are custom designed for each patient because every mouth is different and no one approach works for everyone. Every aspect of home care is addressed and Dr. Prus has created modified brushing and flossing techniques and brought in additional devices and techniques for difficult cases that make the processes not only easier but also more effective. That is why CDE prevention is so successful. Not only does this preserve your smile but oral health also protects the body. Bacteria from the gums travel throughout the body and it is important to keep them from forming and harming other parts of the body. Any part of the body that has inflammation, or the potential for inflammatory processes, will be attacked by periodontal bacteria. None of that happens with preventive care from Dr. Prus at the Center for Dental Excellence. Once patients have learned the process of effective home care, their gingival tissues are easily maintained in excellent health. The process is easy to understand and easy to do. Each patient receives instructions that are tailored to their specific dental situation.